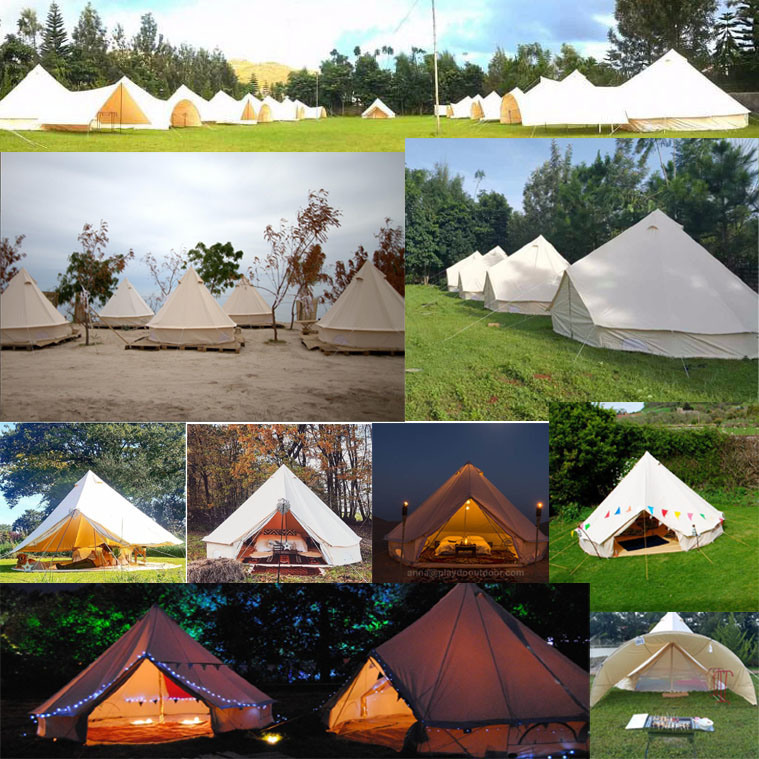 Bell tents are one of the most luxurious and magical ways for camping .Â You will feel like you're at home while camping if you own aÂ bell tent at ourside .Â Â At the base, you'll find aÂ heavy-duty zipped-in ground sheetÂ Â so that you can roll up the wall or zipp off wall in ground sheet any time .Â You'll also be kept cool and comfortable thanks to the four zipped windows and air vents at the top, while every one of these tents is made from natural, breathable cotton canvas so you won't be waking up in aÂ sweat. 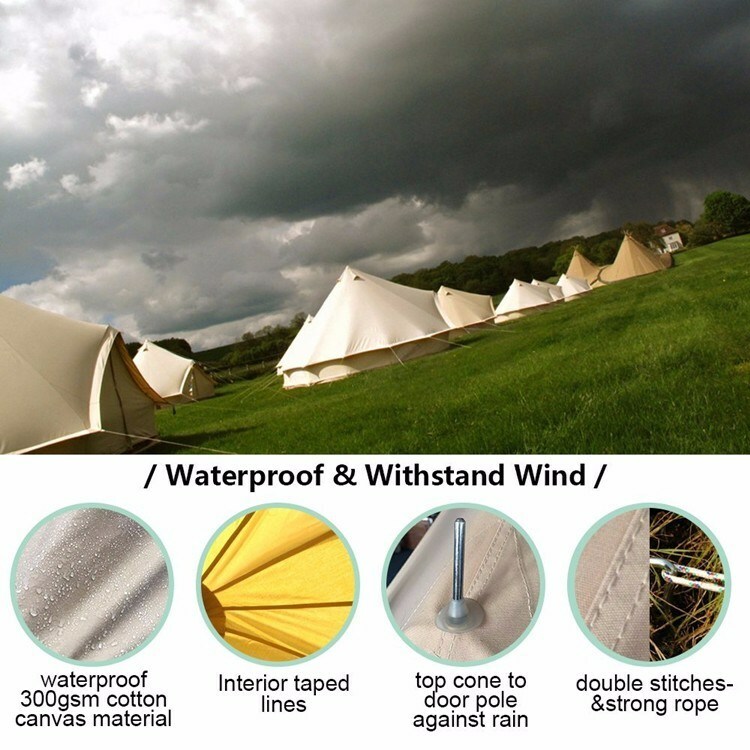 It's also mould, rot and water-repellent .Â In front, there's aÂ secondary mosquito net door behind the main door, and holding the whole structure together is aÂ 32mm centre pole in aÂ robust 1.2mm metal thickness.Â Â giving this tent the feel of aÂ luxurious open-plan bedroom. 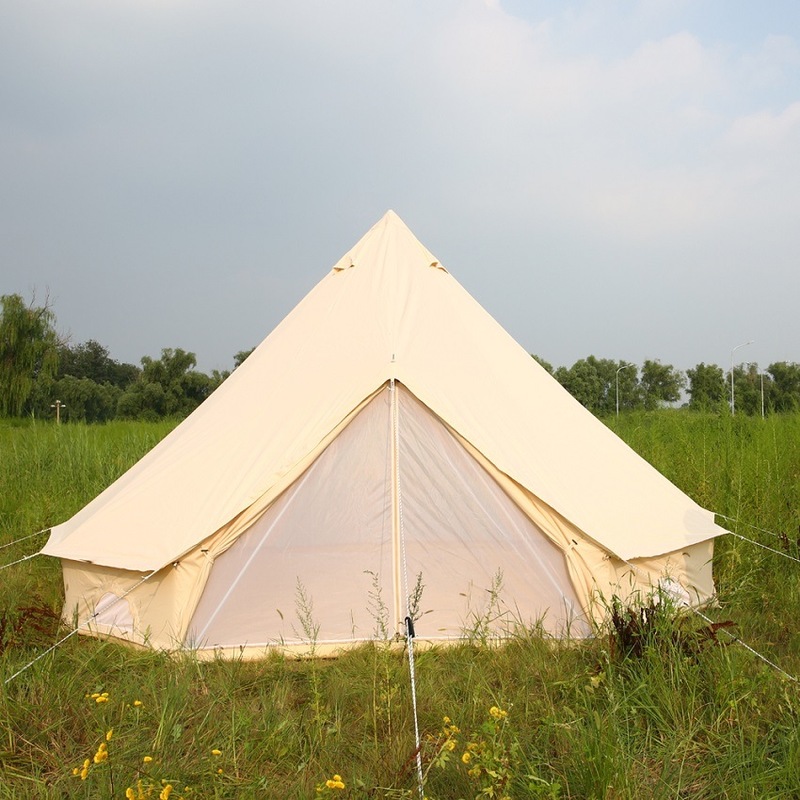 Each tent can be assembled by one person . Beijing Playdo Outdoor Products Co., Ltd. is aÂ company specialized in outdoor equipment development, design, production and sales. 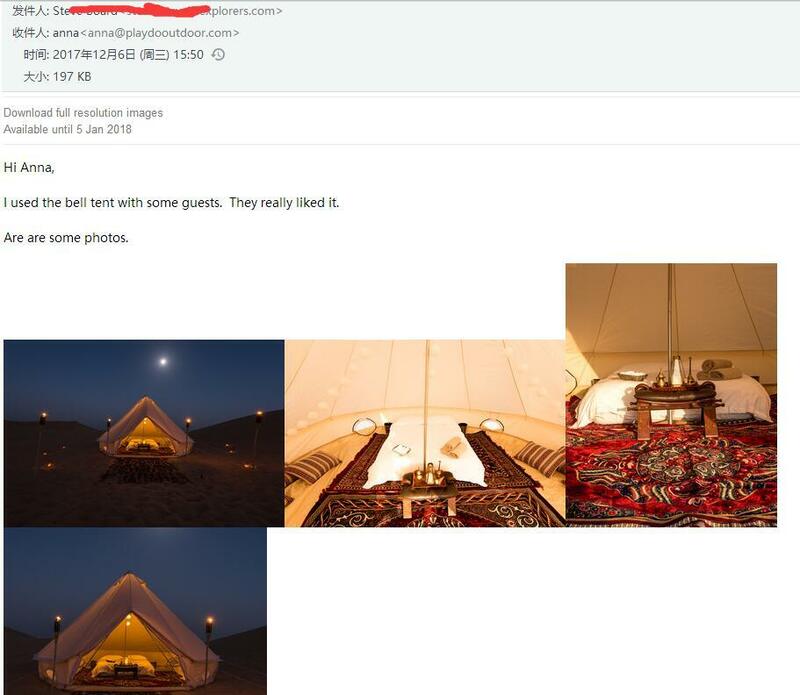 Our main products including carroof tents, camping tents, RV awning tents, trailers tents, sleeping bags, BBG grills, folding tables and chairs, etc. PLAYDO is our own intellectual property brand, headquarter is in Beijing and factory is in Tianjin. Currently, our products have been exported to more than 30 countries and regions, such as America, Canada, Europe, Australia, Japan, Korea and Southeast Asia.We always haveconstant pursuit of technological innovationand adhere to use the latest international high-quality materials to provide the users most suitable products and the best service .